Welcome back to the Gopher Patrol blog! We have spent some time in our recent posts focusing on mosquitoes and today, we’d like to switch gears back to our favorite bucktoothed rodent: the gopher. 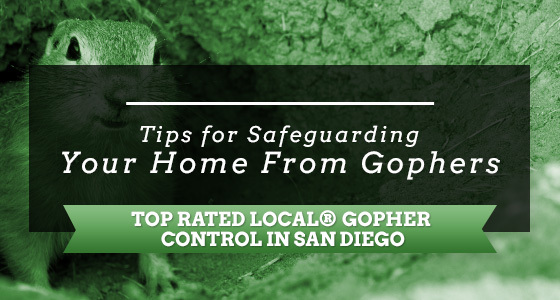 Gophers are a real problem for home and business owners here in San Diego and beyond. They are highly destructive and difficult to get rid of on your own once they establish a burrow on your property. That’s why the experts at Gopher Patrol will share some pro tips for safeguarding your home from these underground dwellers. If you already have gopher problem and need professional assistance getting rid of them, call us for a Top Rated Local® gopher control in San Diego. In the meantime, read our tips to protect your home from these invasive critters. 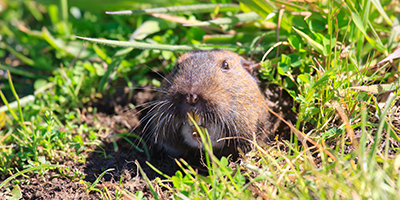 While gophers are tunneling rodents, you can use various preventative methods to try to exclude them from your yard and garden. One way to protect your garden veggies, fruits, and flowers above ground is by installing wire-mesh fencing barriers. These aren’t the most attractive yard decorations, but encasing individual plants in a mesh wire barrier can keep gophers and other garden-loving rodents from destroying your plants above ground. Simply create a perimeter around your plants and flowers, measure the wire mesh fencing, and attach it to wooden posts inserted into the ground for stability. You can also cage the roots of your plants in a layer of mesh wiring. There are prefabricated options such as gopher baskets, or you can create your own basket by folding the wire-mesh fencing into the appropriate shape and size to encase your plant roots. This can be done when you’re doing your annual or biannual planting. Even though roots of a plant will grow out and extend over time, the cage will safeguard the plant’s primary root core, which can help it thrive even if gophers and other tunneling rodents like moles take over your yard. There are gopher repellents available for purchase in home and garden stores. 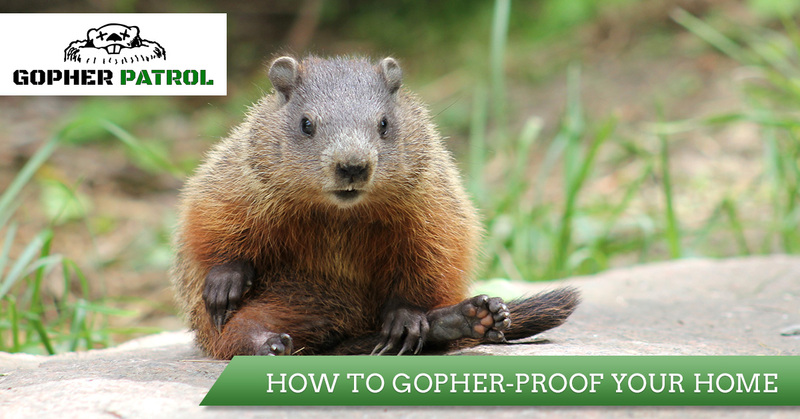 Store-bought repellents, while not nearly as effective as professional-grade gopher repellents, can be used to treat areas in your yard and garden that might attract gophers. Once treated, the repellents create an unsavory smell, taste, and touch that gophers hate, which may temporarily keep them from tunneling and burrowing in your yard. The key is to treat your yard as a preventative measure before you have gophers, reapplying every so often according to the instructions. If you notice small dirt mounds in your yard, chances are you already have a gopher problem. To prevent the problem from worsening, you can install underground fencing to keep the problem at bay. What’s more, this is a safer, more humane alternative to poisons, which is ideal for the average DIY homeowner. You won’t have to handle hazardous chemicals that can harm you, your family, and your pets. To completely exclude gophers and other nuisance animals, you can completely line your lawn and garden beds with mesh. The trouble with this method is, it’s incredibly time-consuming and labor-intensive. You will have to remove about six to ten inches of soil in order to install your mesh liner. Not only that, but you must also pay keen attention to detail, ensuring you completely cover every inch of the surface area you’re trying to protect. Any opening gives a gopher an entryway to begin tunneling throughout your yard and gardens. The best way to gopher-proof your San Diego home is by having Gopher Patrol come out and remove the gophers from your property, Additionally, we offer a 30-day free follow-up service and monthly gopher control services for preventative care, ensuring that once the gophers are gone — they stay gone. Contact your Top Rated Local® gopher control company proudly serving communities in Southern California, the Gold Coast, the Imperial Valley, and beyond. Let us help you take your yard back from these invasive creatures. Call us today! Need a rodent removal company to take care of other critters like mice, rats, and squirrels? 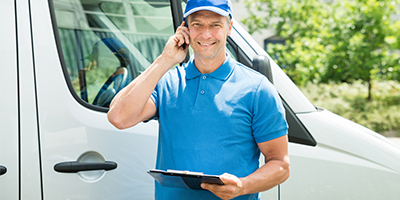 Learn more about our rodent control services and call us today for a quote!